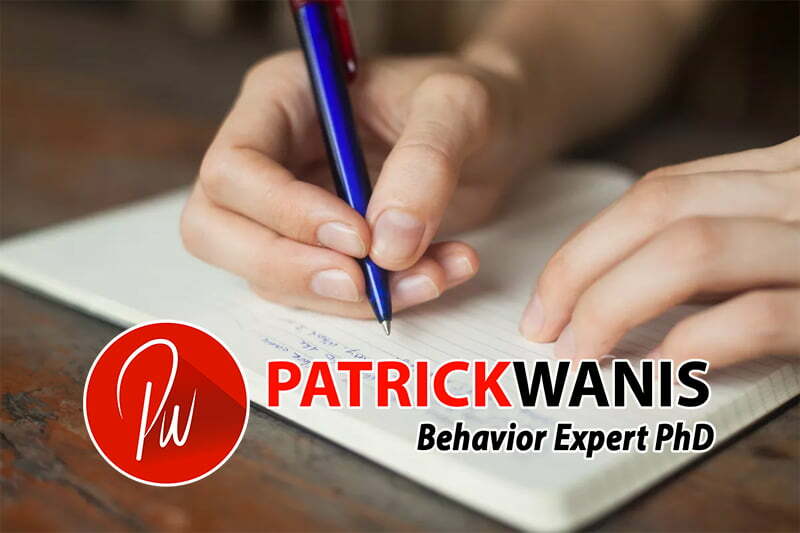 Mar 21, 2019 /in Success Newsletters /by Patrick Wanis Ph.D. In this week’s Success Newsletter, I would like to reveal how to rewrite your past even if you can’t erase it. Now, let’s talk about how to rewrite your past even if you can’t erase it. Do you wish you could erase something from your life? Perhaps you wish you could erase something from the present or something from the past. It’s true that most of us often carry around some sort of regret; something we wish we hadn’t done or something we wish we had done. And yet the truth remains that we cannot erase the past, we cannot change the past, and we can’t forget about the past. Yes, you can do your very best to try to ignore it, not think about it, or simply try to repress it, but, no matter how hard you try to resist the past it still exists in your mind, and it affects you today! Yes, I teach the past is over and it’s not happening anymore, but it still continues to play in your mind like a loop and drive or sabotage you until such time as you rewrite the past. You can’t change the past, you can’t erase it, but you can rewrite it. The story that you carry around in your mind about a specific event is written by you. It’s seen purely through your eyes, through your filters & programming and based upon who you were in that moment. Therefore, because you are the author of the story, you made specific conclusions and interpretations about the event and all the people involved – you, others and the world around you. And, unless you are perfect, you will most likely have made some extraordinarily inaccurate interpretations about the event – either blaming yourself and thus resulting in guilt and shame, or blaming others and resulting in feeling like a victim (with a series of negative emotions- resentment, blame, anger, sadness, fear, etc.) Of course, if you were a child when it happened, then you were truly a victim. As an adult, though, you can rewrite your story. The story you wrote about the past is incorrect, and you can rewrite it. You are rewriting not the facts of the event, but rather your interpretation and conclusions about the event; your thoughts and take on the event. see the world through the eyes and filters and programming of the people involved in the event. To successfully rewrite the story – your interpretation – you need to understand why the people did what they did to you or didn’t do something you wanted them to do. By understanding (learning who the other person is and how they became who they are or were at the time), you are able to awaken to learn that whatever happened or didn’t happen was not about you; it was not your fault. Yes, it was awful, painful or wrong but it wasn’t your fault; you are not to blame. Of course, if the event happened when you are an adult, and you can clearly identify ways in which you contributed to the outcome, then you move to the next step: forgiveness and compassion. Forgiveness and compassion for yourself and others is a key part and step of rewriting your story. We are all human; we are all imperfect and; we all make mistakes! When you can truly accept and embrace this truth, then it is easier to forgive and have compassion for those who you believe wronged you, including forgiving yourself! When you rewrite your story with a complete understanding of the event and everyone involved, then you neutralize those inaccurate interpretations & conclusions, and, you release those painful or negative emotions. Now, you no longer need to try to erase history, and instead you see it and feel it in a completely different way. Now, there are no longer regrets for you have learned, grown and you are no longer stuck in victimhood – you are a creator of your life! If you would like to gain new understanding and wisdom about a past event and let go of the past and rewrite your story to support you, book a one-on-one session with me.